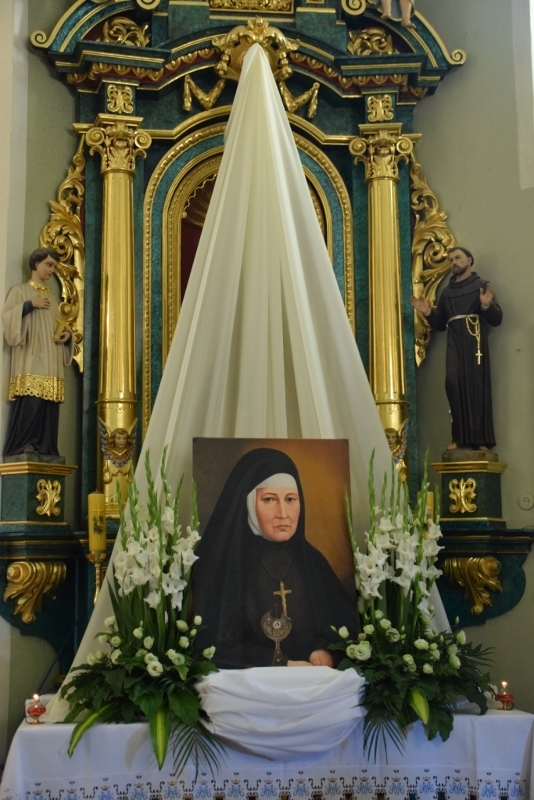 On Sunday, March 10, an exhibition dedicated to Blessed Mary Angela Truszkowska's writings was inaugurated. It is part of the project to present consequent categories of her writings. In the first part have been presented Mary Angela’s letters to the Sisters of the Felician Congregation. After the general introduction to her writings, three letters to the Sisters were presented, including two letters to two Sisters: Sister Mary Aniela Jezioranska and Sister Mary Hedwig Sliwinska as well as one Circular Letter to all the Sisters of the Congregation. All three letters were written between 1863-1865. On Sunday, March 10, once again we met to reflect on one of the chapters of the Memoirs of the Congregation. This time it was chapter V entitled: The Vocation of the Sisters of Saint Felix. Although this chapter was scheduled for this meeting following its order, it should be emphasized that the theme and the invitations of this chapter were closely connected with the time of Lent. On Sunday, February 10, we met again in our Museum and Archives reflecting upon the fourth chapter of the Memoirs of the Congregation. The fourth chapter is entitled: The Vocation of Saint Francis. Although we met in a small group, sharing in the community was very enriching. We have all seen the basis of our call to repair the Church of God through faithful living in accordance with our vocation and, above all, by giving witness to life. On Sunday, when the Holy Church celebrated the Feast of the Baptism of the Lord, in our Museum and Archives we met for the first time in the New Year, to ponder over the treasures given to us by our Blessed Mary Angela and the first generations of the Felician Sisters. At the last Encounter with Blessed Mary Angela, the Sisters pondered upon the content of the second chapter of the Memoirs of the Congregation of the Felician Sisters, which is entitled: Primary Aim of Religious Life. After the vacation time, having experienced many jouful events related to Blessed Mary Angela in the months of September and October, we begun the new series of encounters with the Blessed Mary Angela. This year, during our meetings, we want to reflect on the heritage bestowed on us by our Mother Foundress and the first Felician Sisters that were recorded in the Memoirs of the Congregation of the Felician Sisters. On Tuesday, October 16, 2018, exactly on the 40th Anniversary of the election of Karol Wojtyła to the Holy See, many Felician Sisters participated in the ceremony of introducing the relics of Blessed Mary Angela Truszkowska to the Shrine of Our Lady, the Star of the New Evangelization and Saint John Paul II in Torun. Below is a link to the photo gallery from the ceremony and also to the Information Service on the TRWAM Television. 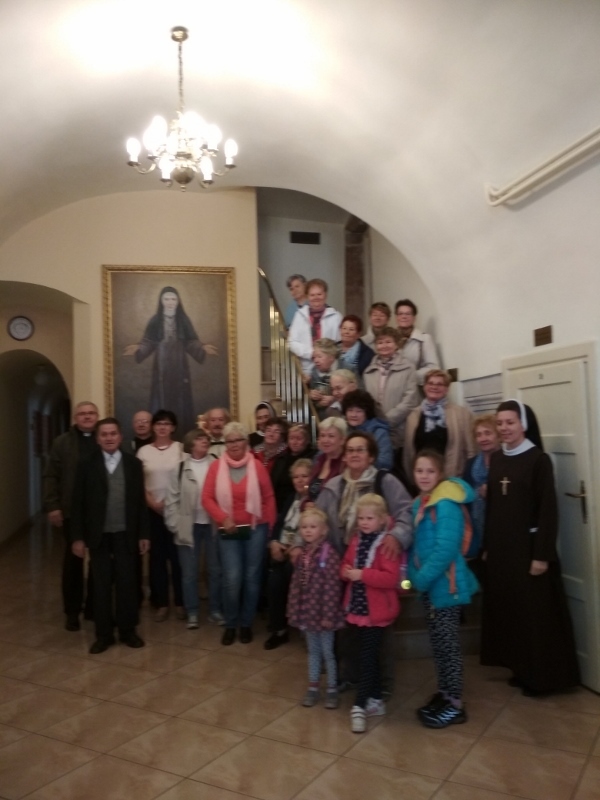 On the day of the liturgical commemoration of Blessed Honorat Kozminski, October 13, 2018, our Museum and Archives were visited by a group of benefactors who have helped the Sisters Servants of the Sacred Heart of Jesus in the renovations of the dormitory for girls in Krakow. Due to the fact that it would be difficult to visit the Museum if the entire group (over 80 people) came together, that’s why one part went to visit Kraków, and the second – the larger one – came to the Museum and Archives of Blessed Maria Angela. Today, October 13, 2018, the liturgical commemoration of Bl. Honorat Koźminski, the spiritual director of the Felician Sisters Congregation, Fr. Damian Gatnar, the Pastor of All Saints Church from Pszczyna, arrived to Krakow together with a group of his parishioners and sister Maria Ezechiela Barszczak. Their first steps were made to the Museum and Archives of Blessed Maria Angela to learn about her life and spirituality. All participants of the pilgrimage, from the youngest to the oldest, listened attentively to the story about Mother Angela's life, about the work of the Felician Sisters and about the main aspects of the Felician spirituality bestowed on us by our Blessed Foundress.